Click on Online store in the left-hand menu. 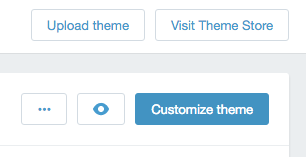 In the following menu click on Themes. Click on Customize theme in the top-right corner. In the top left corner click on Theme options and select Edit HTML/CSS from the drop-down list. 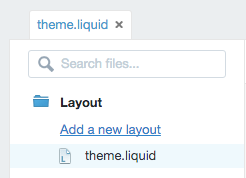 Choose your template's main file from the component list on the left - in our case it's called theme.liqiuid. Scroll down to the end of the template and paste the code from step 1 right before the </body> tag. Done! Sugester live chat will now be visible on your website/webstore.